Not a few years back, Finnish Giant Nokia topped phone sales around the world with unrivaled dominance. But all that changed when Google introduced Android – a free and open mobile phone ecosystem - which swept the world like wildfire. Since then, many phone manufacturers except for Nokia have dumped their proprietary mobile operating systems and turned to Android. As you all know, the rise in popularity of Android-based phones pushed Nokia to eventually enter into an alliance with Microsoft and adopt Windows Phone as the operating system for their smartphones in hopes of building a third massive ecosystem. But will the power of Android prove too much and prompt Nokia to likewise join the Droid bandwagon? Well, TP Friends, it looks like Nokia has something unexpected up their sleeves. 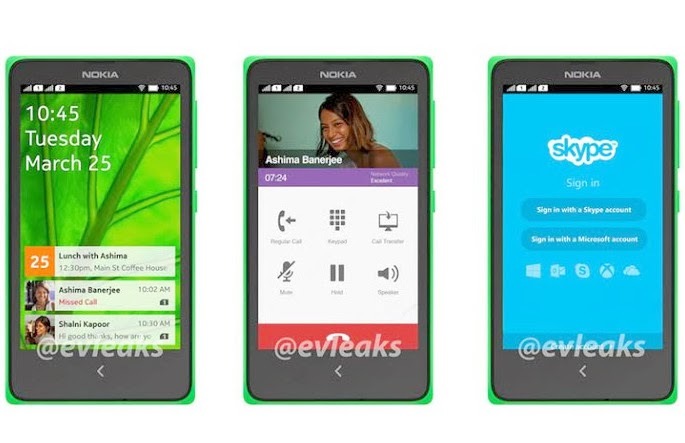 @evleaks has revealed Nokia’s supposed first ever phone running the Android OS. Yes, you read it right! It’s a Nokia handset on Android KitKat OS codenamed Nokia Normandy or the A110. 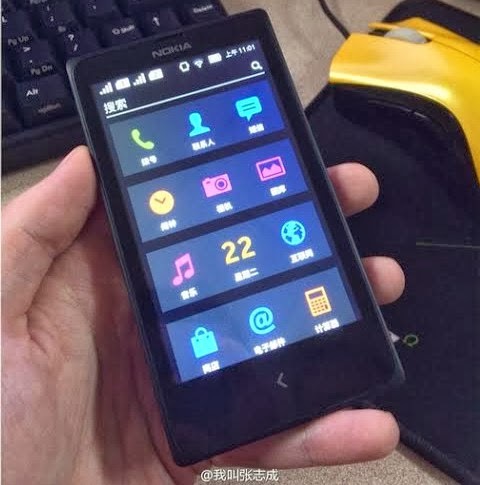 It is said that this phone is a product of Nokia’s old Project N or the Asha on Linux software development. The Nokia droid appears to be a budget phone by today's standards. 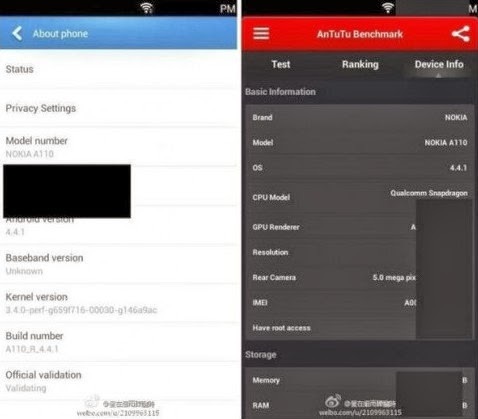 The AnTuTu benchmark screenshot shows that the phone merely has a 854 x 540 pixels resolution display and is powered by a Snapdragon processor. It also has a 5-megapixel camera, which we saw in Nokia's budget WP8 handset last year. The appearance of the handset is reminiscent of Nokia's Asha line highlighted by a boxy design with one physical “back” button in front and the main camera at the back minus the flash. 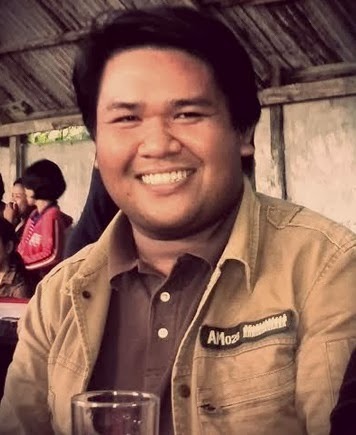 Based on the leaked picture, the phone supports dual SIM functionality, comes replete with feature apps like Skype and features unique-looking calendar and screen notifications. While this doesn’t confirm it’s running Android OS, neither does it show traces of Windows OS. However, we should note that the user interface is entirely different from what we have seen on any Android phone by any manufacturer – except for the status bar. If indeed it’s a Nokia droid, the Finnish company has obviously made a unique skin to go on top of Google’s operating system. But why would Nokia launch an Android-based phone if, just months ago, Microsoft bought Nokia and the American software giant has invested much in the Windows Phone software? Maybe, it could be Microsoft’s way of diversifying its applications and cloud platforms in order to reach the markets where Microsoft's mobile OS hasn't taken off and take advantage of Google’s grip. And since this is a budget phone, its target markets are the developing economies where there is a maximum potential for Microsoft and Google to tap. Update as of February 13, 2014 c/o Mark of TP: According to supposed Nokia insiders, the Finnish company has decided to name their first Android smartphone Nokia X in lieu of Normandy and A110. They added that we can expect Nokia X to be announced this coming February 24 at the Mobile World Congress 2014 set to take place in Barcelona, Spain. Update as of February 18, 2014 c/o Mark of TP: Nokia's keynote at MWC 2014 is scheduled at 8:30 AM (Barcelona Time) on February 24 or 3:30 PM (Manila Time) on the same date. It is believed that Nokia X, which will be the highlight of the presentation, will flaunt a design language similar to the Finnish company's Asha phones and will don an official suggested retail price of just $110 or just around Php 4,900. Some rumored specs include a 4-inch WQVGA TFT display, 1.2 GHz Dual Core Snapdragon chipset, 512 MB of RAM, 4GB ROM that can be expanded via microSD card slot, 5 MegaPixel main camera with autofocus and flash, A-GPS, and WiFi, Bluetooth 4.0 and 3G connectivity support. Apart from disclosing that the Nokia X will come with Nokia Store app marketplace featuring popular Android games and applications in lieu of Google Play Store, Insiders add that Nokia will also offer a slightly more expensive Dual SIM Dual Standby version of the Nokia X. If all these leaks speculations turn out accurate, I just hope that Nokia would price this device really competitively so a lot of consumers would be inclined to check it out. TechPinas has always supported Nokia and we'd really love to see the company get its groove back -- at least, in terms of sales.